Thanks man, it helped! I really had no clue what causes this error. I have a fix for you! Your workaround worked for me, but it made editing a pain, so I went back to the web and found a fix. Go to the line that’s giving the error and remove the returns from that area, making one long line, then put the returns back! Looks like netbeans is putting some hidden junk characters there. I’ll have to try that one out. Thanks for the info. Hey Nick – thanks for the link. I hope the NetBeans developers realize that this is a serious issue and put some resources behind fixing it. Thanks for the post. 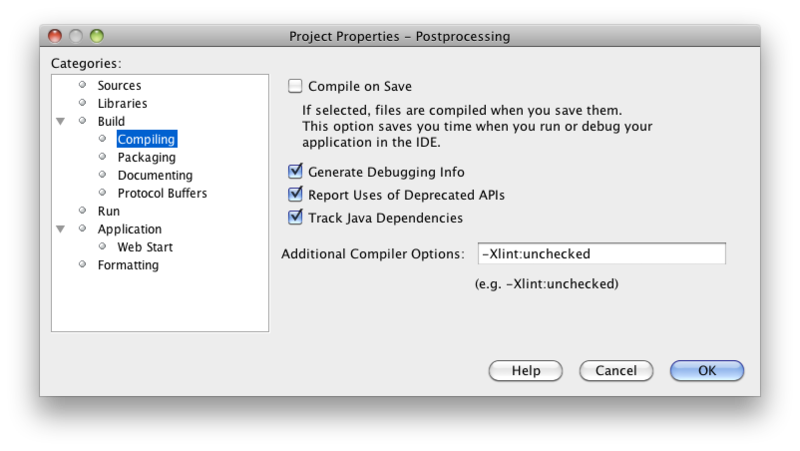 This seems to still be an issue with NetBeans IDE 7.2 Beta (Build 201205031832). It may be time to update. Car Talk Puzzler #2: What do these words have in common? An imperative and functional approach using Java and Scala Maybe this is why people are afraid of the command line?